The sauce on these vegetables is amazing, and low-calorie, too. 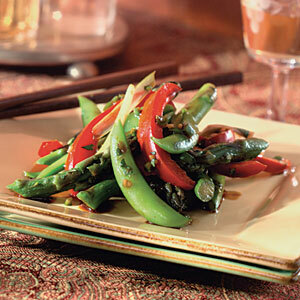 Add hoisin sauce mixture; stir-fry 1 to 2 minutes or until thick and vegetables are crisp-tender. Remove from heat, and stir in cilantro.